handsets to our lineup that will meet the unique needs of their customer bases,"
to enhance the mobile experience." 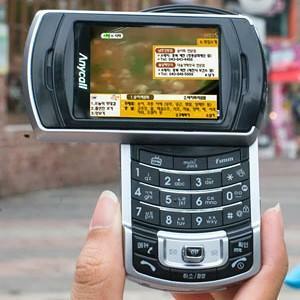 ultra-compact, color screen 78-gram fold-style phone to the entry-level market. 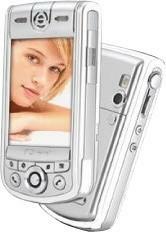 - BIFS (Binary Format for Scene) technology, that allows the user to interact with the TV programming. - Pictbridge for mobile printing. TomTom announced the launch of their TomTom ONE all new GPS for the Car that extends their line-up of already great automotive GPS receivers. TomTom connect a new slim and handy design with a plural decorated Software of TomTom. 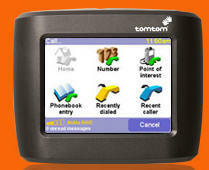 TomTom ONE offers a get on solution, operation easely, hand and it has an elegantly new design. It comes with a touchscreen, that has an anti-glare coating, which is a big plus for this unit. Drivers experiences there TomTom without detour, because of the Plug-and-Drive-Navigationsoftware with a pre-installed memory disk. So without difficult and complicated software. This GPS isn't bigger as an envelope and weight 260 gram. With the Bluetooth connection the user can use more services of the TomTom Plus Service. One of them is that you can download the traffic- and weather reports. TomTom ONE is only available yet for about € 399 in the Benelux and Germany, later this year in the UK and next year in the States.